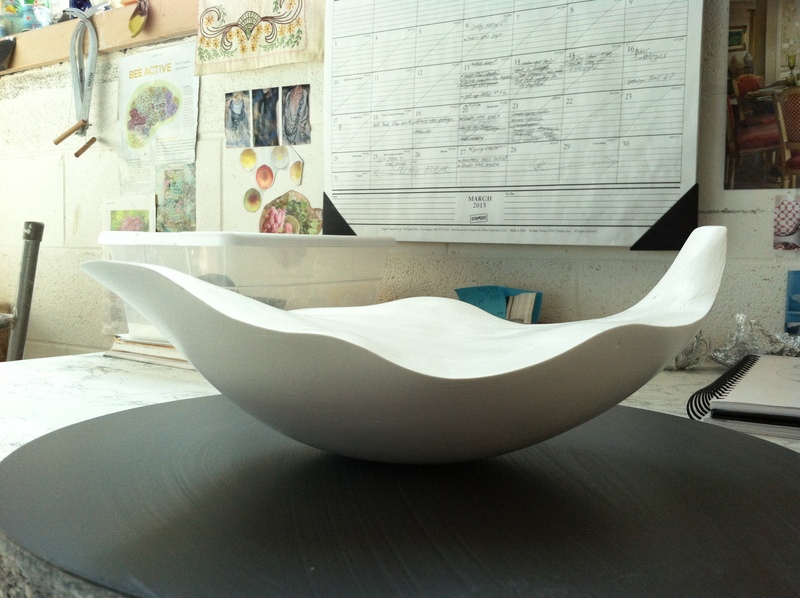 This is my petal form taking shape. 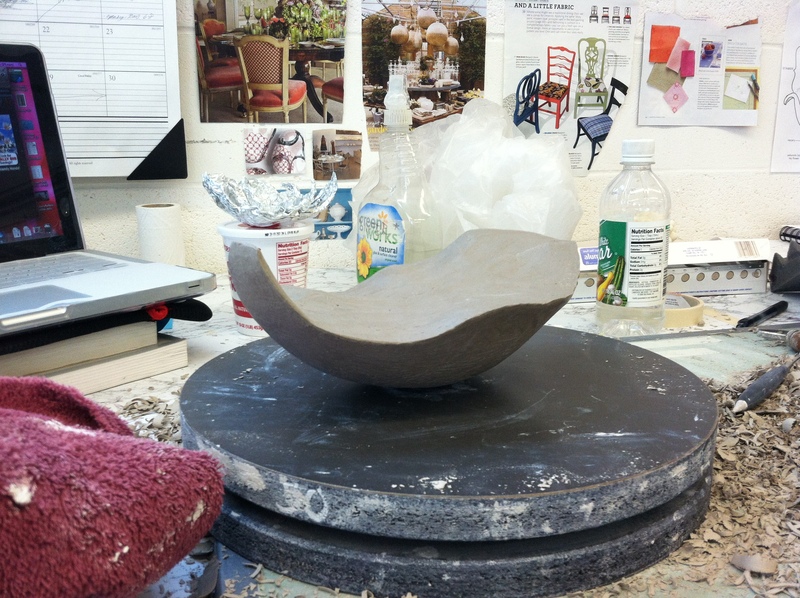 As with my other prototypes, I sculpt a solid form using the SUR form tool to help shed and refine layers. It makes a big mess! 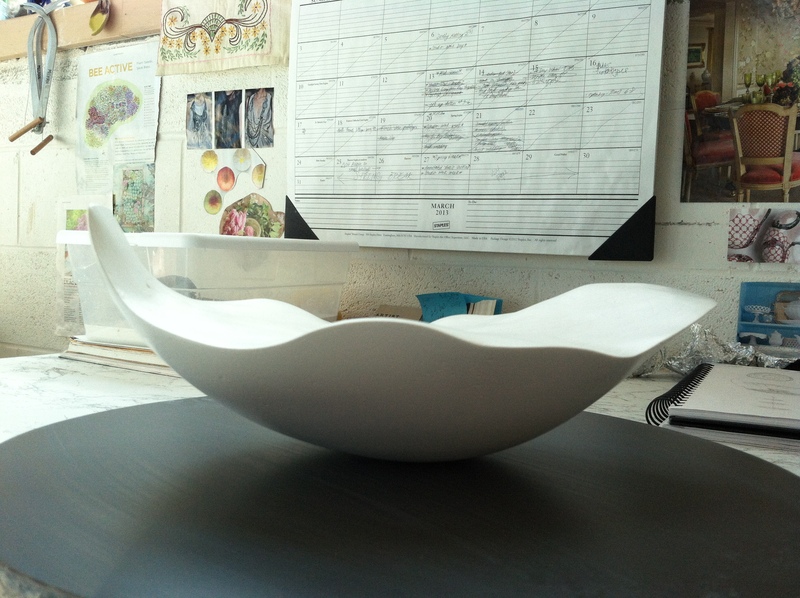 The silhouette was inspired by the tulip petals from my dissections! 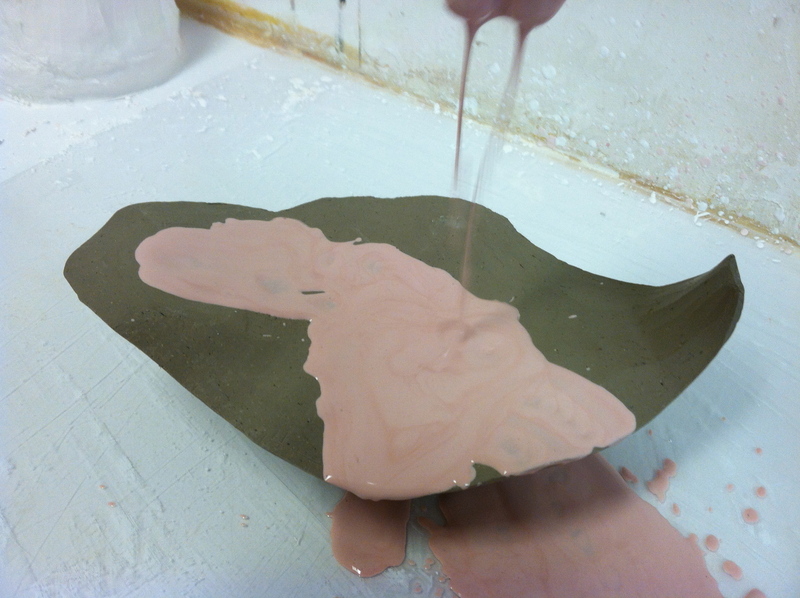 Pouring a thin layer of plaster with a little red iron oxide. A thicker layer of white plaster goes on next. 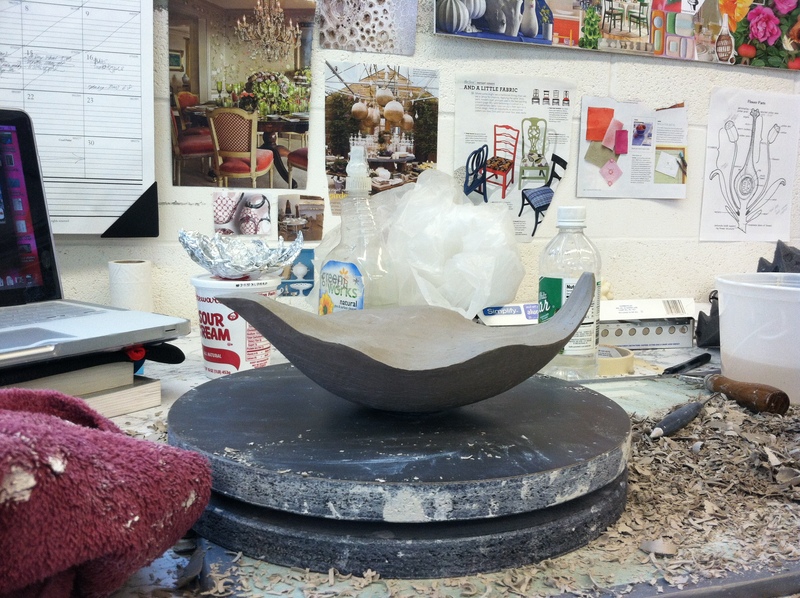 After the waste mold is dry, I scoop out the clay, soap the inside and fill the negative space with new plaster. 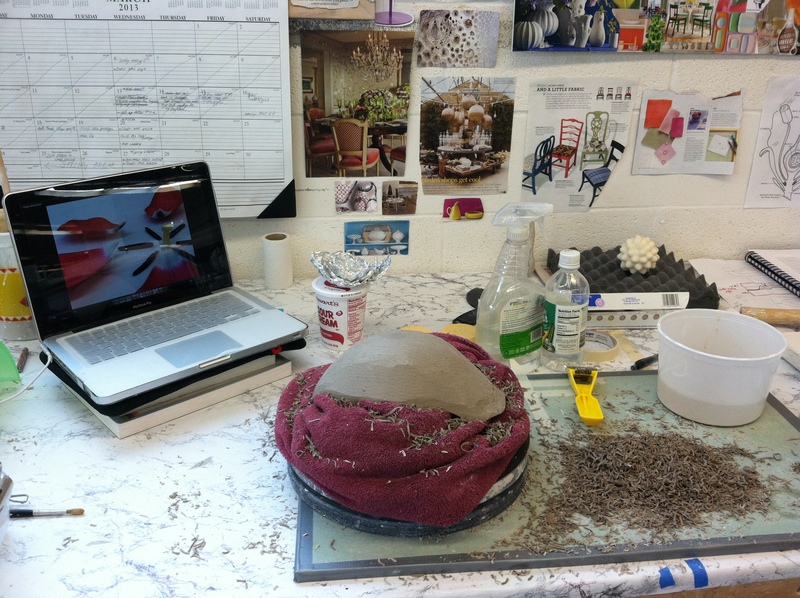 Using a chisel and a mallet, I break open the waste mold to expose the plaster prototype. 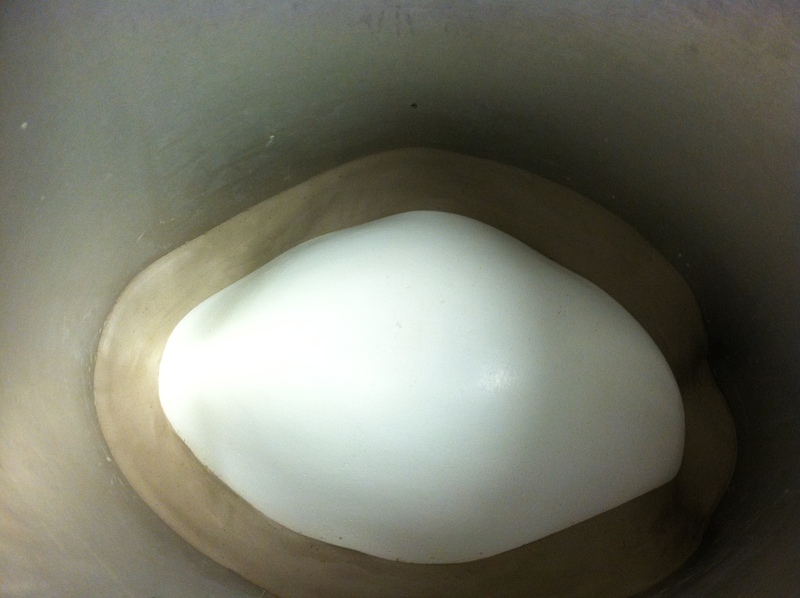 I prefer making a mold from a plaster prototype because I can sand and buff it much better than clay. Its also easier to spot imperfections and fix them! 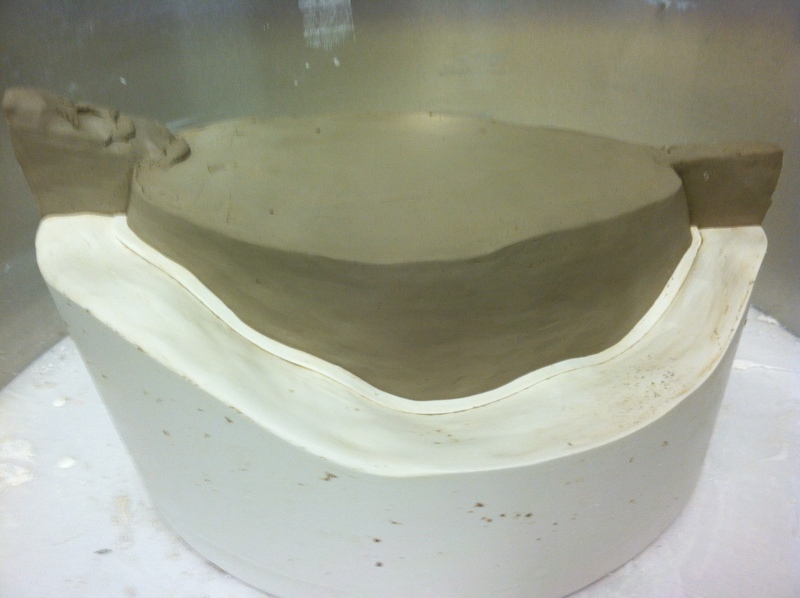 Making the mold, similar to the one for the anther form. 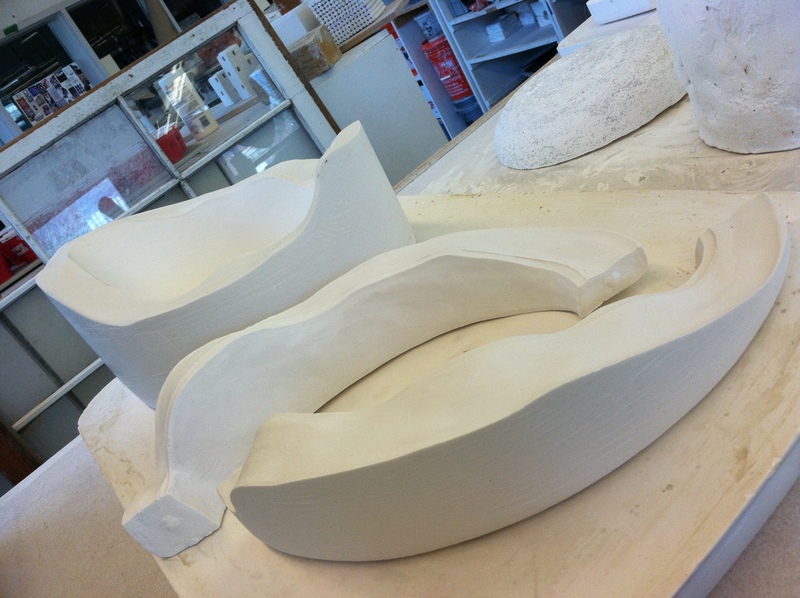 Shannon, I am so excited about these forms! Really glad that you’re including such an amount of in-process shots, I love to see how it is all coming together. 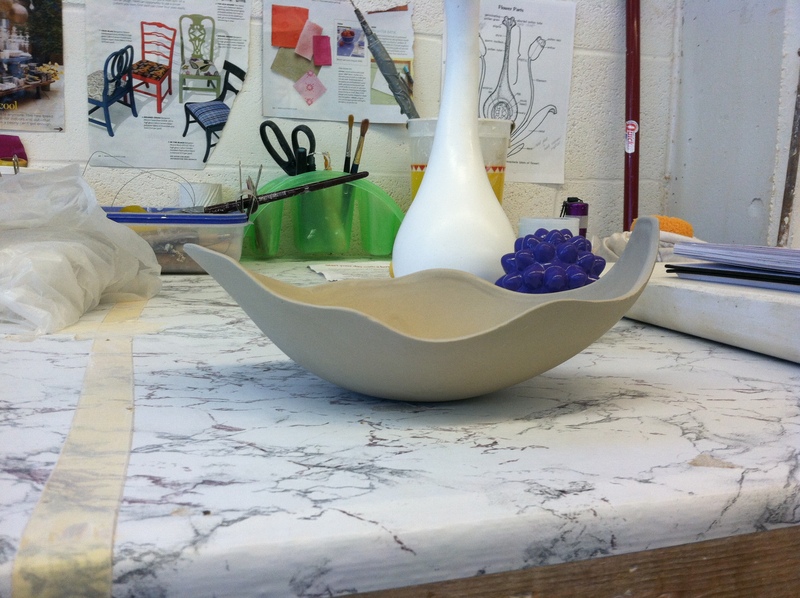 The forms look incredibly refined, and I’m anxious to hear more about it tomorrow during critique!